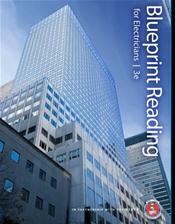 Learn to read and interpret blueprints through the eyes of an electrician. Now in its 3rd edition, Blueprint Reading for Electricians presents students and apprentices alike with the blueprint reading terminology and applications unique to the electrical industry. This specialized resource begins by covering fundamental tools and basic sketching, then progressing to include coverage of views, plans, schedules and specifications. With additional chapters devoted to the types of prints found in a set of construction drawings and clear explanations of their relationships to various electrical installations, the book offers content that is both comprehensive and applicable. It has been updated to reflect the very latest technology and industry trends and is ideal both as a training manual and reference guide; its content, hands-on exercises, and real-world applications will help readers of all levels to master their print reading skills. Check out our app, DEWALT Mobile Pro.. This free app is a construction calculator with integrated reference materials and access to hundreds of additional calculations as add-ons. To learn more, visit dewalt.com/mobilepro.